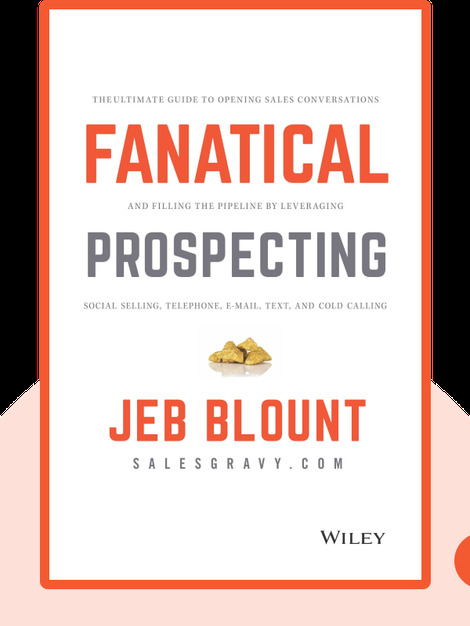 Fanatical Prospecting (2015) is full of home truths and tips and tricks designed to help salespeople up their game – it’s the ultimate no-nonsense guide to salesmanship. The message is simple: If you want to make it as a sales superstar, you have to keep your pipeline full of leads. After all, no one’s going to hit a home run if they haven’t even made it up to the plate. Achieving this approach is exactly what these blinks will teach you how to do. 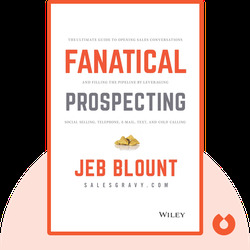 Jeb Blount is a sales-acceleration consultant with decades of experience on the frontlines of sales. In addition to being a best-selling author, he is a business coach and sought-after motivational speaker. He has been recognized as one of the Top 50 Most Influential Leaders in Sales and Marketing by Top Sales Magazine and one of the World’s Top 30 Social Selling Influencers by Forbes. © Jeb Blount: Fanatical Prospecting copyright 2015, John Wiley & Sons Inc. Used by permission of John Wiley & Sons Inc. and shall not be made available to any unauthorized third parties.